ABHINANDAN is located in Muzaffarpur Bihar . ABHINANDAN is registered as a Society at PATNA of state Bihar with Ngo unique registration ID 'BR/2010/0037829' . 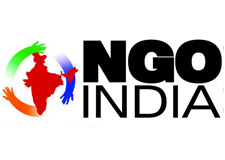 The NGO registration is done by Registrar of Societies with registration number 688 on the date of 23-03-1996, Its parent ORganaisation is PaulFoundation. The Chairman of ABHINANDAN is PRAFUL KR SINGH MON and Chief functionary officer is PRABHAT KUMAR RANJAN. Caarying out health check up to the children of nearly 500 in two districts of Bihar,Ruuning up of one special child labour school in kurhni block in Muzaffarpur to mainstreaming them,Conducted health fair in kanti block to aware people about the different type of indengeious diseases particularly about HIV/AIDS.organisation is also conducting different competition among student to sensitize them first and then they will aware their parents on the key issues existing in the society.